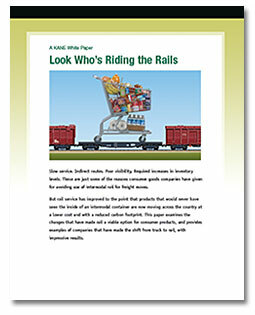 Consumer goods companies have historically avoided use of intermodal rail for product distribution due to a variety of reasons, including slower service, indirect routes, and the need to increase inventory levels. Product packaging has always been the realm of marketing departments. But often decisions made early in the packaging design process result in massive inefficiencies downstream during product distribution. 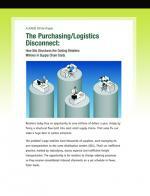 New Report: Key Supply Chain Challenges of Mid-Sized CPG Companies. Retailers have moved to more of a just-in-time replenishment strategy in response to a soft economy. Current models for managing outsourced logistics relationships limit the ability of third-party logistics providers (3PLs) to drive the innovation that their customers crave. CPG companies can streamline their supply chains by integrating final packaging into existing distribution operations and entrusting the function to the logistics professionals who manage warehousing and transportation. 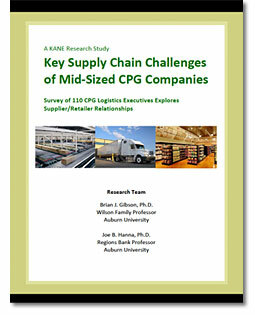 Mid-sized CPG companies lack the resources, systems capabilities and freight volumes larger competitors use to drive continuous cost and service improvements. Trade promotions, a marketing staple of consumer packaged goods (CPG) companies, are a big, messy management challenge.